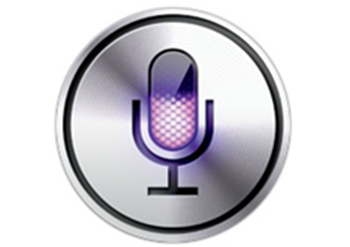 When Apple launched the iPhone 4S in October of 2011, one of the most talked about and probably its headline feature was the inclusion of the Siri intelligent assistant software which attempted to make life easier by being able to accomplish tasks given to it through a simple voice command. When invoked by the user, Siri is ready and able to take spoken orders which can range from setting meetings up in the calendar, checking the location of friends and family or even pulling up a weather forecast for most locations in the world. The Siri software is deeply embedded throughout iOS that it is able to interact with a number of native applications, offering an enhanced user experience. One of the main gripes from a consumer point of view is that Siri is only officially made available by Apple for those who purchase an iPhone 4S. At first glance, it would seem that Siri required the more powerful processing power of the A5 processor, but considering Siri has been made available on older generation devices by the jailbreak community and seems to function without issue, that assumption would seem to be negated. Probably the most popular option for older generation Siri access is the Spire tweak from Cydia, developed by Grant Paul who is better known for his Zephyr and Infini series of extensions for jailbroken devices. The issue with Spire is that it only provides the Siri GUI, and relies 100% on a functioning proxy server and data from a registered iPhone 4S to operate, which is something that has been difficult to come by due to Apple shutting down the access provided by certain 4S devices as it is generating thousands of requests. A team known as i4Siri has been working for quite some time in an attempt to bring a functioning and reliable answer to this problem, and looking at their most recent blog post, it seems that they believe they have the solution, making the i4Siri servers available to the public, and it does not require you to have a registered iPhone 4S. After months of data analysis, testing and modifying based on findings, the servers are now believed to be stable and are being offered to the masses for free. Limitations on the API access will be placed, but the team are planning on adding extensive management tools which let users see things like usage stats, most used sayings and a number of other advanced options. Note: You will obviously need to jailbreak your device to install this tweak. For jailbreaking the latest iOS 5.1 (tethered), follow the instructions posted here to jailbreak using Redsn0w. For jailbreaking iPhone 4S and iPad 2, you can simply follow our step by step tutorial posted here to jailbreak iOS 5.0.1 using Absinthe on Windows or Mac. Those of you with an iPhone 4, 3GS, iPad 1, and iPod touches can use Redsn0w or Sn0wbreeze to untether jailbreak on iOS 5.0.1. Step 1: Open up Cydia and install the ‘Spire‘ tweak, developed by chpwn. More info on Spire can be found here. Step 2: After installation, open up the device Settings application and head to ‘General >> Siri‘ and make sure the toggle is set to ‘On‘. Step 3: Head back to the root of the Settings menu and select ‘Spire‘. Step 4: In the Spire settings menu, populate the proxy URL field with ‘https://i4sirifree.mooo.com/’. Step 6: Install the certificate. Activate Siri and make a request. Obviously for this to work, the installation of Spire and an iOS 5 capable device is required. The i4Siri server wouldn’t be possible if it wasn’t for certain open source projects which it is built upon such as siriServer by Eichhoernchen and SiriProxy by Plamoni. If you crave some Siri interaction and you have only have an older generation device, give it a shot and see what you think.